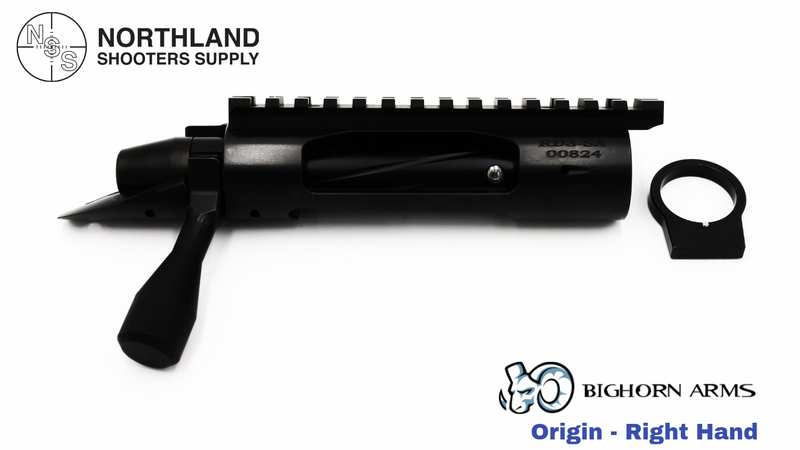 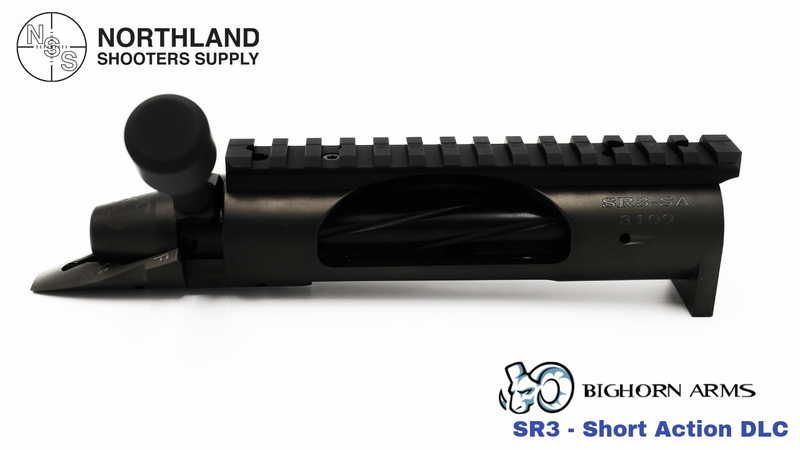 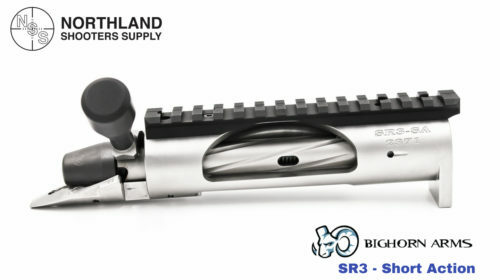 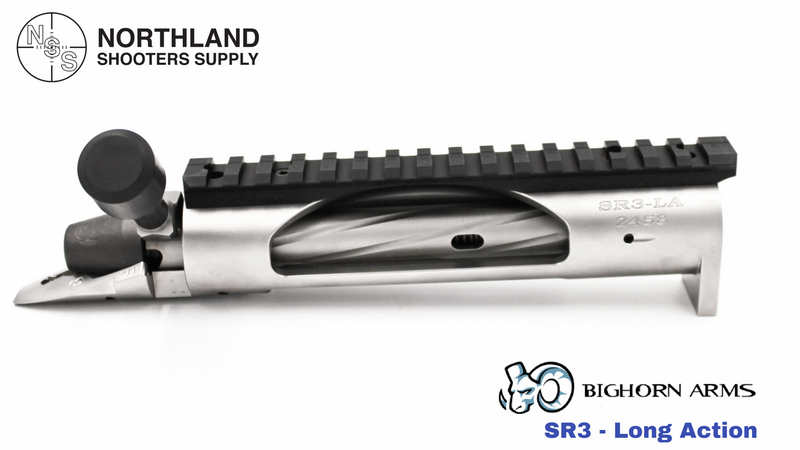 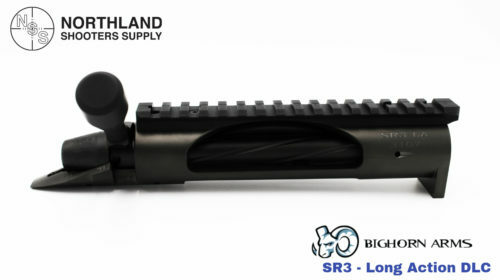 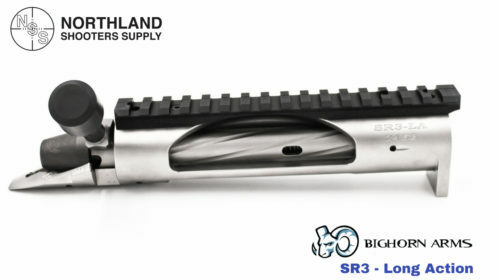 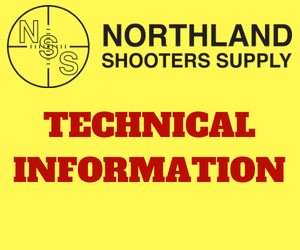 Northland Shooters Supply (NSS) is now offering Bighorn Arms custom actions. 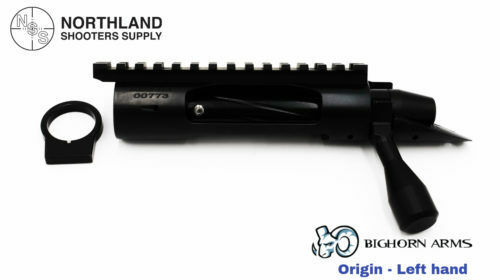 They use Savage small shank barrels (1-1/16″ x 20 TPI) and have a Remington 700 footprint. 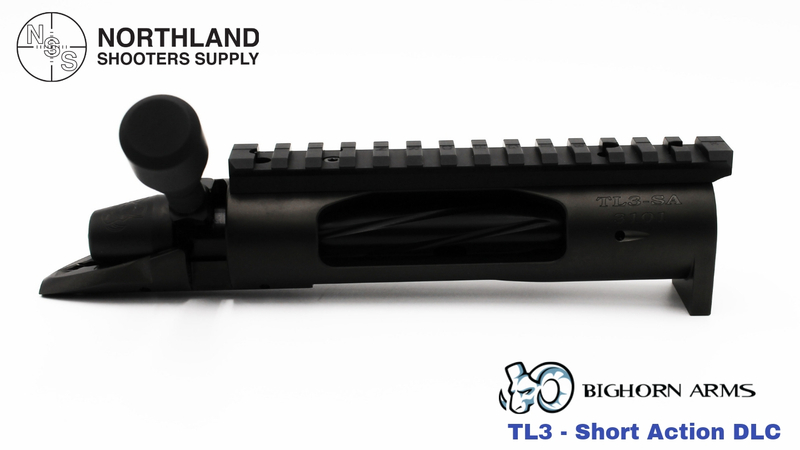 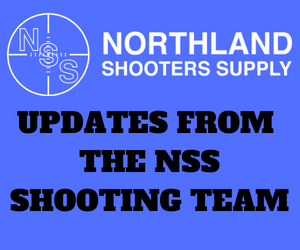 NSS is currently stocking the TL3 Single Shot action, the TL3 Short action (AI & AW), the TL3 Left Hand Short action (AI), TL3 Long action (AI), the SR3 Short action (REM 700 feed lips), the SR3 Long action (REM 700 feed lips), the Origin Right hand, and the Origin Left hand actions. 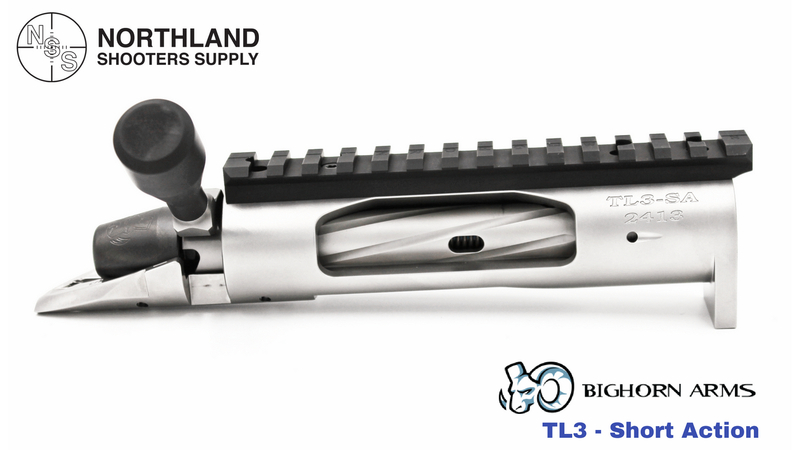 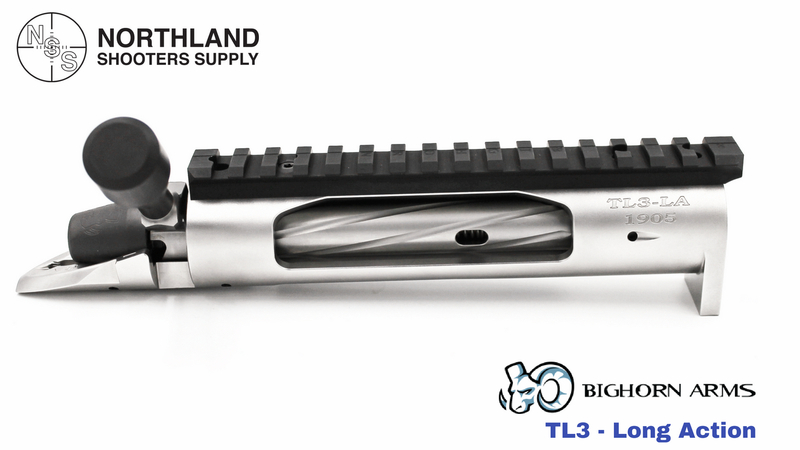 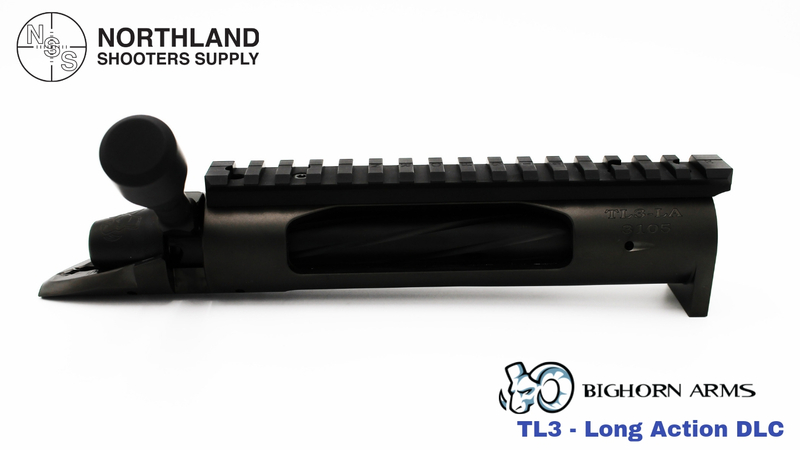 We are stocking the Bighorn TL3 and SR3 with beadblast and DLC finish. The Bighorn Origin only comes in the DLC finish. 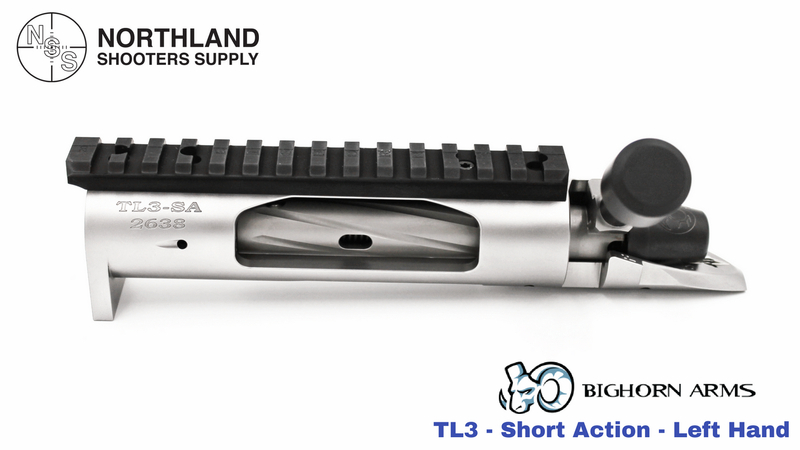 Other action configurations are available through special orders with lead times in the TL3 and SR3 models. 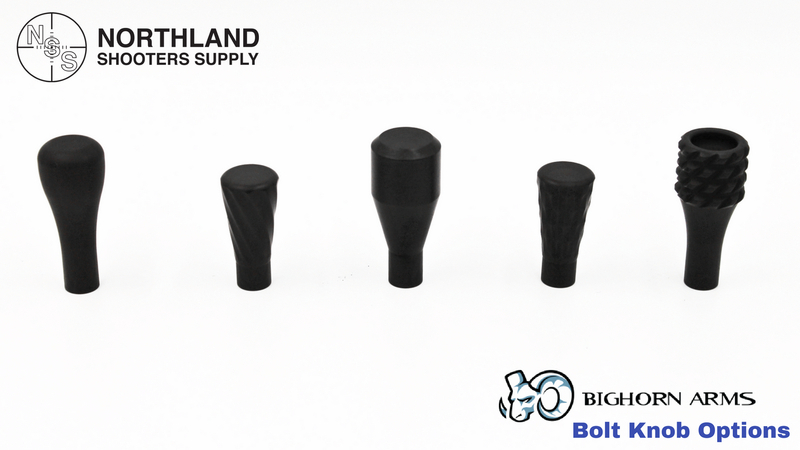 Below are the action configurations were are currently stocking. Once you choose your action, you will need to chose which bolt head, rail and bolt knob you would like for your action.